"Person A: "No Scotsman puts sugar on his porridge." Person B: "But my uncle Angus likes sugar with his porridge." Person A: "Ah yes, but no true Scotsman puts sugar on his porridge." This is used often to defend communism after its abysmal record of economic ruin and democide. 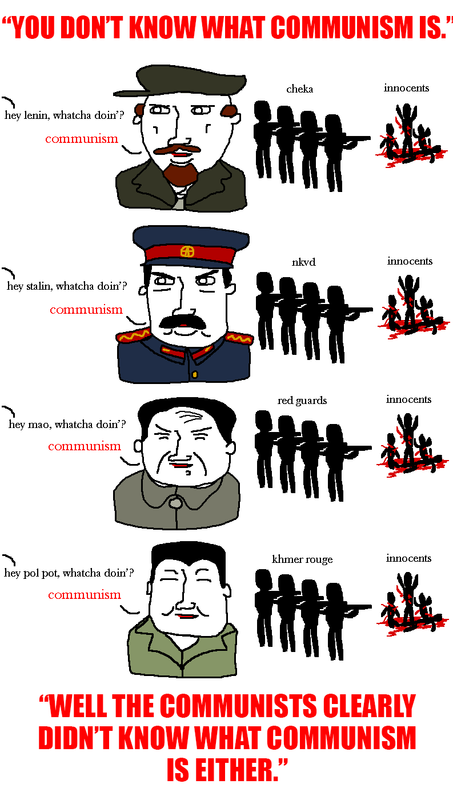 Well, those weren't really communism..."